Karla FC Holloway is James B.Duke Professor of English at Duke University. She also holds appointments in the Law School, Women's Studies and African & African American Studies. Her research and teaching interests focus on African American cultural studies, biocultural studies, gender, ethics and law. Professor Holloway serves on the boards of the Greenwall Foundation's Advisory Board in Bioethics, the Duke University's Center for Documentary Studies, and the Princeton University Council on the Study of Women and Gender. She is an affiliated faculty with the Duke Institute on Care at the End of Life and the Trent Center for Bioethics and Medical Humanities. She has served as Dean of the Humanities and Social Sciences, Chair (and member) of Duke's Appointments, Promotion and Tenure Committee, and as an elected member of the Academic Council and its Executive Council. She is founding co-director of the John Hope Franklin Center and the Franklin Humanities Institute. Professor Holloway is the author of eight books, including Passed On: African-American Mourning Stories (2002) and BookMarks--Reading in Black and White, A Memoir (2006) completed during a residency in Bellagio, Italy as a Rockefeller Foundation Fellow. BookMarks was nominated for the Hurston/Wright Legacy Award for non-fiction. 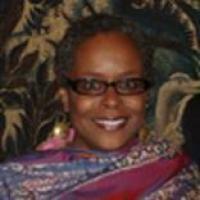 Professor Holloway spent Spring 2008 as Sheila Biddle Ford Foundation Fellow at Harvard University's DuBois Institute. The book she completed during that fellowship, Private Bodies/Public Texts: Race, Gender, & a Cultural Bioethics was published in 2011 by Duke U Press. Legal Fictions: Constituting Race, Composing Literatures will be published by Duke Press in 2014. Professor Holloway was recently elected to the Hastings Center Fellows Association--a selective group of leading researchers who have made a distinguished contribution to the field of bioethics. She has served as a member of Duke University's Board of Trustee's Committee on Honorary Degrees. Holloway, K. Private Bodies/Public Texts: Race, Gender, and a Cultural Bioethics. Duke University Press, 2011. Holloway, K. BookMarks: Reading in Black and White–A Memoir. Rutgers University Press, 2006. Holloway, K. "The Death of Culture." The Massachusetts Review (Spring, 1999): 31-41. Holloway, K. "Narrative Time/Spiritual Text." Faulkner/Morrison, Morrison/Faulkner. Ed. Kolmerten, C; Ross, S; Wittenberg, J. UP of Missisippi, 1997. Holloway, K. "The Race for Theory." Literature on the Move: Comparing Diasporic Ethnicities in Europe and the Americas. Ed. Marcais, D; al, E. 97Heidelberg: Universitaetsverlag Carl, Winter, 2002. 347-354.